The greatest hits album is an interesting beast, for while an artist’s most popular work is compiled into one tidy parcel, allowing easy access for the casual fan unconcerned with deep cuts, the effort often feels Frankenstein-ish in construction. By removing songs from their original presentation, themes mash together in awkward juxtaposition, concepts get lost in the shuffle, and the listener is frequently left with a rather jarring experience, one shifting between sonic extremes with little rhyme or reason. This same peril translates to the world of short literary fiction and essays, where careers are also cobbled together into sampler format. 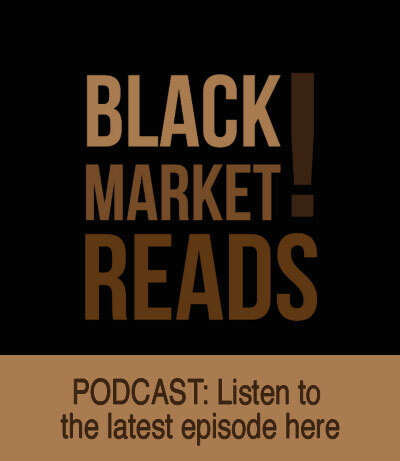 Though this presentation permits the reader to witness the evolution of a writer’s craft and voice, many of these “best of” books fail to maintain the rhythm of the writer’s original collections. Like their musical brethren, the sampler doesn’t resonate as a complete work. 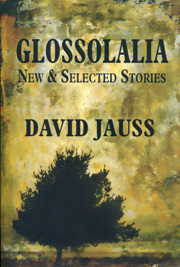 David Jauss’s Glossolalia, a gathering of new and previously collected stories (from Black Maps[University of Massachusetts Press, 1996] and Crimes of Passion [Story Press, 1984]) is the exception; outside of one outlier, it escapes the foibles of the “greatest hits” packaging. Culled from over thirty years of writing, these stories complement each other remarkably well, with common threads—broken marriages, the Vietnam War, outcasts—acting as spine and connective tissue to a body that is, nevertheless, speckled with wide-ranging ideas. 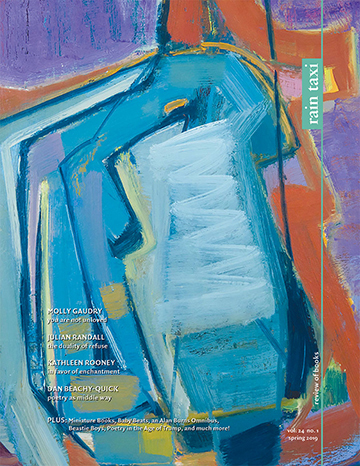 Castaways and pariahs may propel most of the seventeen narratives, but they do so in such pleasingly odd ways that Glossolalia evokes the quality of both retrospective and comprehensive collection. Black Maps’s “Torque,” about a man obsessed with the idea of building his own limousine, is an example of this oddity. The protagonist, Larry, is a dreamer of sorts, and though his aspirations ultimately cost him his family, his job, and most likely his home, he continues to grasp for the impossible, grafting together steel while his world slowly crumbles. Striving for seemingly unobtainable or uncontrollable goals slithers throughout the mindset of many of Jauss’s characters: The narrator of “The Bigs” wants to make it in pro baseball; Alec in “Rainer” wants to find peace with his ex-wife after the death of his son; Sister Anastasia, in “The Stars at Noon,” wants nothing more than to pass softy into the afterlife (“She had no fear of dying. She was a bride of Christ: death was her dowry, nothing more.”) Their aim may vary wildly, from the subtle to the outlandish, but the outlook of these men and women parallel. They belong together on these pages. The lone wolf in Glossolalia, while individually enjoyable and cleverly built, is “Apotheosis.” With its layered histories of Friars and mendicants, it just doesn’t fit in with its companions. This is a relatively minor quibble, however, for overall, Glossolalia sparkles, providing readers the opportunity to engage with one of the unsung heroes of modern American short fiction. Jauss’s stories are quietly haunting. This is the kind of work that sticks to the soul, waiting to be carried long into the night.